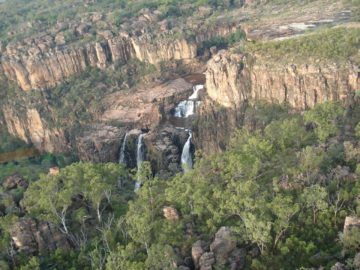 The Northern Territory Waterfalls (NT) that we had visited so far are concentrated in the tropical northern regions of the state. 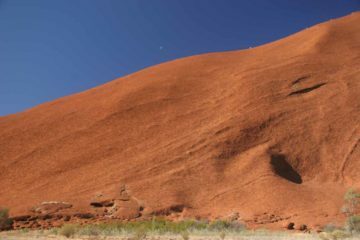 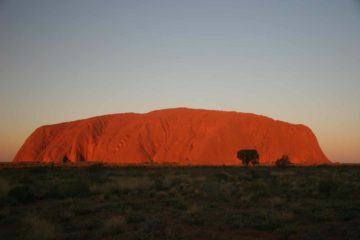 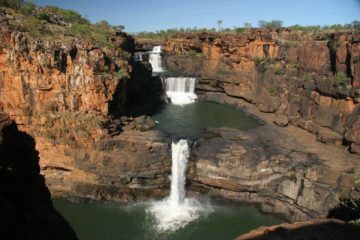 Just by looking at the map above, you can see why they call this part of Australia the Top End. 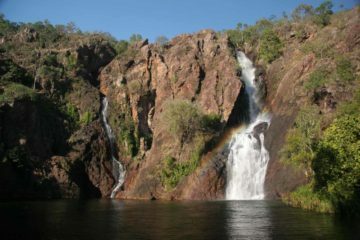 In any case, with these waterfalls, timing is everything as the optimal times to see the waterfalls is a moving window between the monsoonal downpours of the Australian Summer and the availability of access roads when floods subside and saltwater crocodiles leave in the Dry Season (typically the Australian Winter). 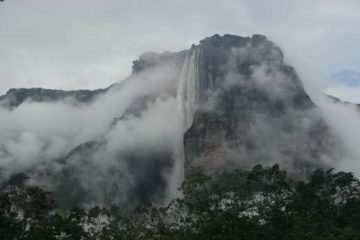 However, you can still see the waterfalls by air if access is prohibited. 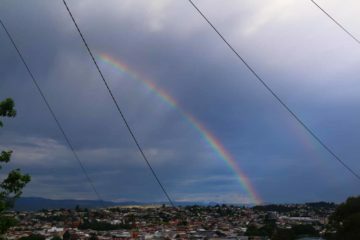 We were able to demonstrate this when a late season cyclone kind of forced our hand and we had to deal with persisting Wet Season conditions. 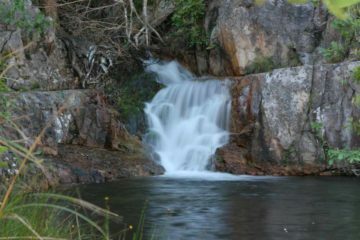 That said, the most easily-accessible waterfalls we’ve encountered are found in Litchfield National Park about 90-120 minutes south of Darwin. 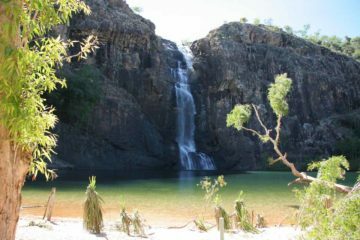 Here, you’ll find a series of waterfalls with inviting pools to swim in (if estuarine or saltwater crocodiles aren’t around). 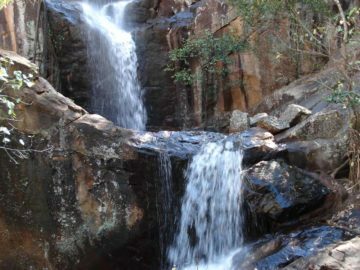 Some of the popular waterfalls in this park include Florence Falls and Wangi Falls. 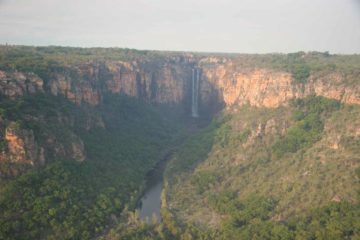 The World Heritage Area of Kakadu National Park features the state’s most spectacular waterfalls. 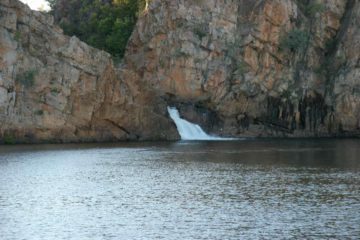 If your timing is right, you can visit the base of Jim Jim Fallsand Twin Falls. 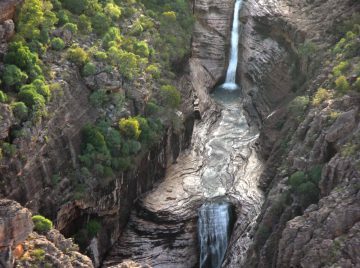 However, aerial views of these waterfalls are also available if time or access is limited.